Hey, this is my 105th post! I meant to have a 100th post announcement, but it got away from me so let's celebrate 105 instead. I've been sprucing a few things up around the blog. Have you noticed I have a new "About" page? Check it out if you want to learn a little more about me and what I do. I've also been organizing my blog content and tags to make archived posts a little easier to navigate. I'm working on a few new tutorials and some exciting projects that I can't wait to share. Thanks so much for reading! 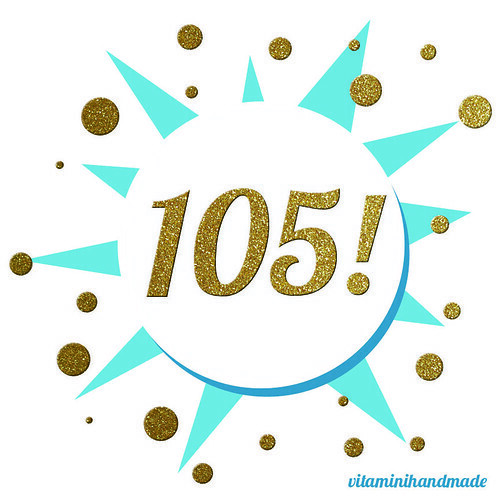 Here's to the next 105! yaahaayy congratulations on the lucky 105! !